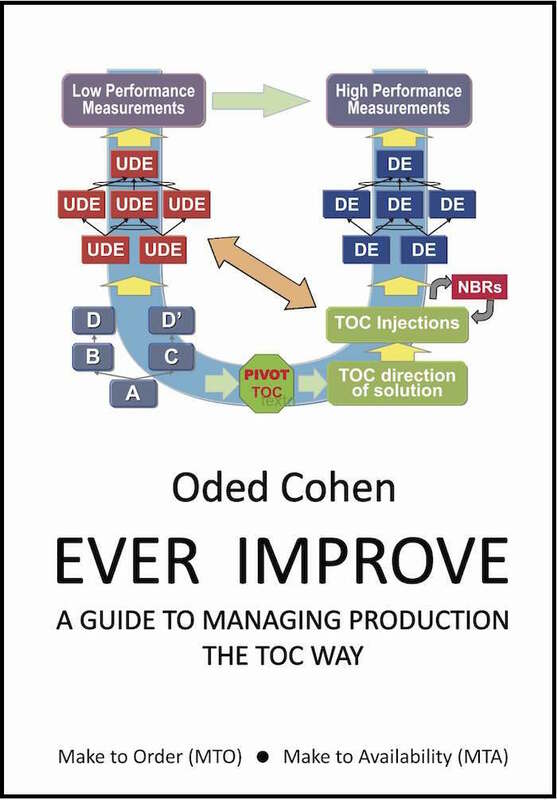 Oded Cohen started his personal journey with TOC forty years ago and has been an integral part of the development, teaching and implementation of the TOC methodology, solutions and implementation processes. Encouraged by his students who needed help to organize, store and easily retrieve the TOC knowledge, Oded has authored U-shape which presents the way TOC knowledge is linked through the inherent logic from the problem to the solution. This special edition contains the knowledge and the underlying logic of the MTO solution and outlines the content of the implementation part and includes four parts. The full new edition of the book also contains the underlying logic of the MTA solution. 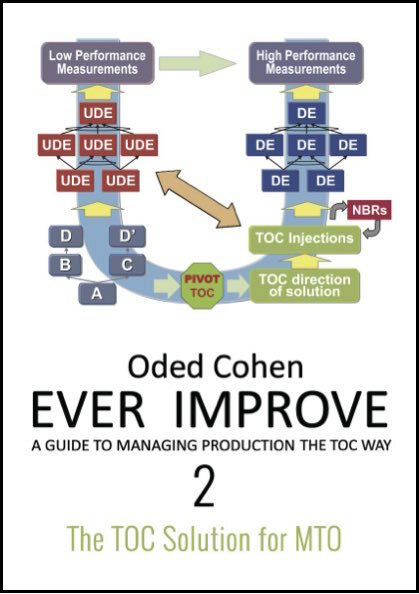 - TOC Systematic Approach – The U-Shape. 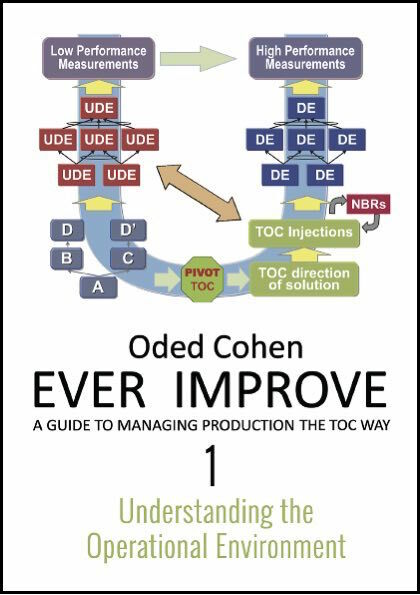 This part contains a full description of the TOC methodology and its logical tools that can enhance the ability of a manager to conduct the development of a solution to improve the performance of a system. It covers the analysis of the current reality, the solution and the steps for implementing the solution. This section describes the internal logical connections between the problem, the solution and its implementation plan. An important part is the TOC Pivot that captures the uniqueness of the essence of Managing Systems the TOC Way. - The Reality of Production and Operations Management. This part is taking the reader through the processes and the challenges that are facing the managers that are in charge of maintaining and improving flow – whether in manufacturing on in any other process environment. Understanding the operational environment is critical for ensuring that the proposed solution of TOC fits the expected problems and will lead to the desired benefits. The reader can verify that the relevant symptoms exist in their reality. This part can also help the reader to map the deployment chart of their system describing the Process flow as well as Information and Decision flows. The deployment chart helps to map the changes suggested by the TOC solutions production and operations. - TOC Solution for MTO. This part describes the elements of the TOC solution for Make to Order environment. While traditional MRP systems cannot guarantee on time delivery of customers’ orders the TOC MTO solution is focused on DDP – Due Date Performance as well as establishing competitive QLT – Quoted Lead Times. This part sets up the eight key elements of the solution which are called the TOC Injections. The eight injection solution is divided into three groups. The first injection sets up the right mindset for the new way of managing and lays out the concepts of managing the flow. The second group contains four injections that to ensure immediate improvements while the third group three injections establish the base for continuous improvement. - Implementing TOC Solution for MTO. This part deals with the HOW; it describes the practical changes to the way the system is managed. It covers setting up the key measurements, planning, controlling the execution of the plans and the managerial interventions on regular (daily) basis as well as periodically (weekly) for further improvements. The MTO solution contains the changes to the information flow from the product flow (process) to the management and changes to the decision flow from management towards the process flow. This part is detailed in such a way that management can conduct a pilot of the new system in conjunction with the existing IT system. The detailed guidelines are explicit enough to enable IT service providers (internal or external) to construct the changes to the IT system to accommodate the MTO solution. - TOC Solution for MTA. 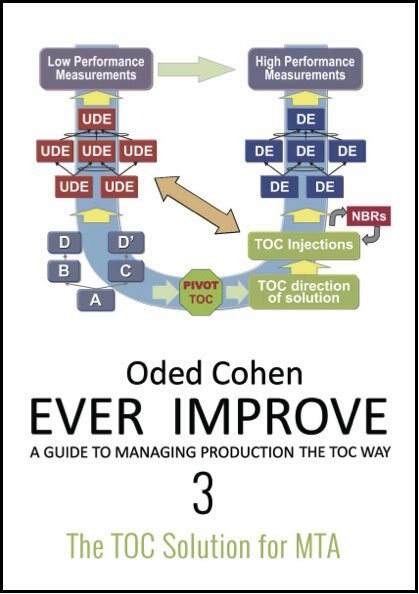 This part covers the knowledge (What) and the implementation know-how (How) for the unique solution of TOC that transforms Make to Stock (MTS) environment into Make to Availability (MTA). This part provides what is needed in order to make this solution a reality and achieving the expected benefits. This part also covers MTIA – Make to Internal Availability which is an application of the MTA solution for special cases when it makes sense to hold availability of semi-finished products or parts in front of assembly. This part details the changes to the IT system to accommodate the information flow needed for the solution. It also describes what is needed in order to assist management in decision making. All the injections are described in a way that is supportive of a pilot and thereafter to be incorporated in the company’s IT systems.